To the left is a schematic representation of a sub-scale high altitude drop test. 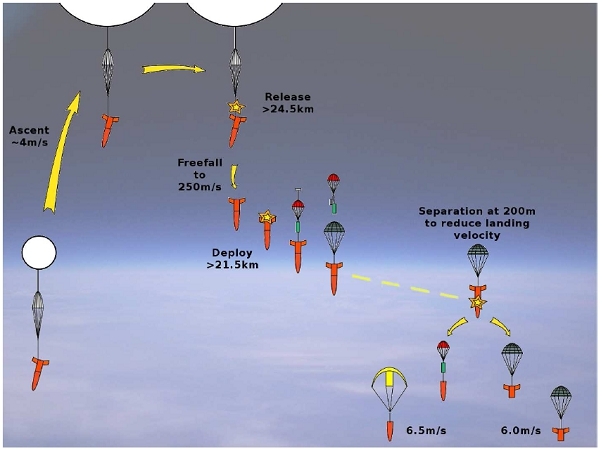 The balloon ascends to a test altitude of roughly 24.5 kilometres, after which a drop sequence is initiated via a radio uplink command. The EDM is then released from the balloon with a pyrotechnic device and experiences free-fall for 23 seconds. 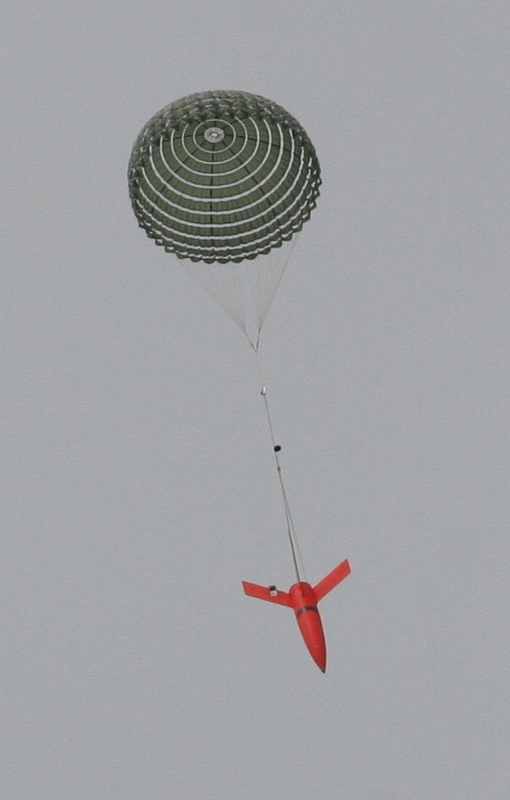 Following this, a test parachute is deployed with a pilot parachute. At 200 m (or at an altitude determined by uplink command), the EDM separates and the two stages land separately, reducing the impact at landing. 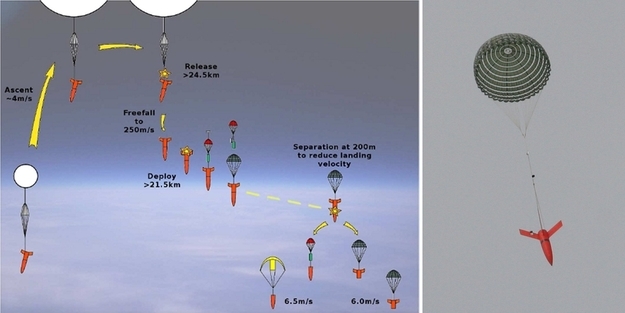 The image to the right shows the balloon and the rocket-shaped test vehicle during a sub-scale parachute high altitude drop test in the UK, in early 2011.